At a glance this does not look bad upon furher reading i may change my judgement. The change to the 300 must cause a dip in the Stansfield Road PTAL it leaves just the low frequency 376 (dont think Royal Albert is as easy to access in comparison to neighbouring stations Prince Regent and Beckton Park). This is the only really concern at present. The 25 cut could of been worse. Would of much preferred Holborn to be kept on the route but "Holborn Circus" (more City Thameslink) will have to do. I'm assuming 25 cut back to Holborn Circus is also related to Oxford Street pedestrianisation as well as Crossrail but I'm hoping that 25 does not cut to Holborn Circus before mid/late 2019. Didn't expect the 241 to cut back to Custom House and interesting to see East Wick extension being revived. 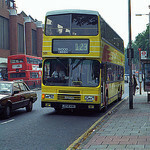 Worth noting that 256 is being converted to Double Deckers and 174 will have frequency increase to every 6 minutes. However I do find the 241, 300 and 474 changes quite unnecessary. OK can do a proper reply now not on mobile. 241 - I really don't like the idea of cutting the route back to Custom House or Prince Regent. 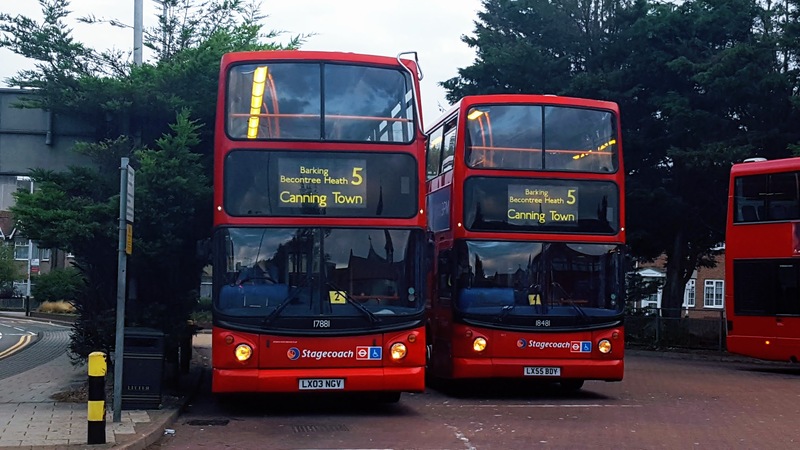 It picks up a lot of local passengers from Canning Town through Keir Hardie Estate traveling both towards Stratford but also local connections such as Freemasons Road / Abbey Arms. I would much rather the route is maintained to terminate at Keir Hardie (At least) but this will mean three routes on the local roads again is there a need ? As for th extension is there really that much demand at East Wick? 474 - This replaces the 241 through Keir Hardie but hardly brings any benefits as I can't see many passengers wishing to travel towards City Airport or a long way round towards Beckton / East Ham. We have the 147 if we want East Ham. Also as the 474 is 24 hours is means 2 night bus routes in a very built up area unless changes are made to the N551? 300 - This route will end up swapping directions in Prince Regent which will initially be confusing. Does Freemasons / New Barn Street really need 3 routes traveling towards Abbey Arms? Also unless something drastic is changed at Custom House I can't see where this bus stand will be! - Crossrail have just given back some land to Newham Council but its half the size it was (Next to the stairs of Custom House Station. I just don't see what all these changes have to do with Crossrail its not like its going to create new links replacing these bus service changes. 241 - I really don't like the idea of cutting the route back to Custom House or Prince Regent. 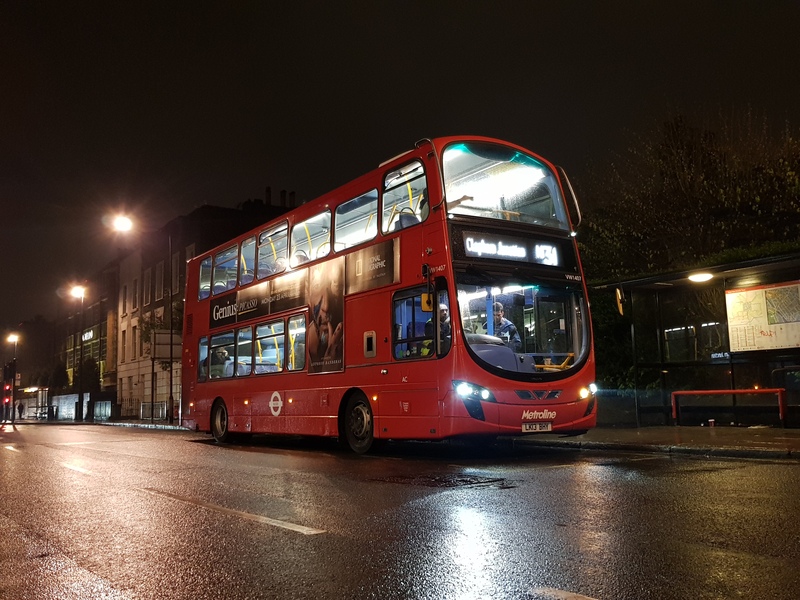 It picks up a lot of local passengers from Canning Town through Keir Hardie Estate traveling both towards Stratford but also local connections such as Freemasons Road / Abbey Arms. I would much rather the route is maintained to terminate at Keir Hardie (At least) but this will mean three routes on the local roads again is there a need ? I was thinking similar. A lot of it just looks like faffing around with routes for the sake of it, I don't see what benefit many of these will bring. The 330 would be far better utilised if it just went into Canary Wharf and I don't see the point of the 241 going to Here East. I agree but sadly like over consultations this is probably a done deal already. And Newham Hospital gets a third route with the 304 I see. Like others, I really don't understand the faffing around with the 241, 330 & 474 around Custom House - as Dan mentioned, the 241 change breaks through journeys to Canning Town for London City Airport journeys instead but I'm not sure how well that is used. The 330 extension seems to just literally paper over the 474 being re-routed and I can honestly see it running empty between Custom House & Canning Town. The Canary Wharf extension mentioned by Eastlondoner62 seems a much more useful extension to undertake. As for the 241's extension to Here East, my suspicions is it's simply been extended to free up stand space as I can't think of a reason as to why another route needs to serve Here East. This is a change I kind of like not that I had anything against the 104 in it's current form but it gives Lonsdale Avenue a link to Beckton but should also improve reliability now it no longer needs to serve East Ham whilst at the same time preserving that link to East Ham & new links to Newham General Hospital in the form of the 304. 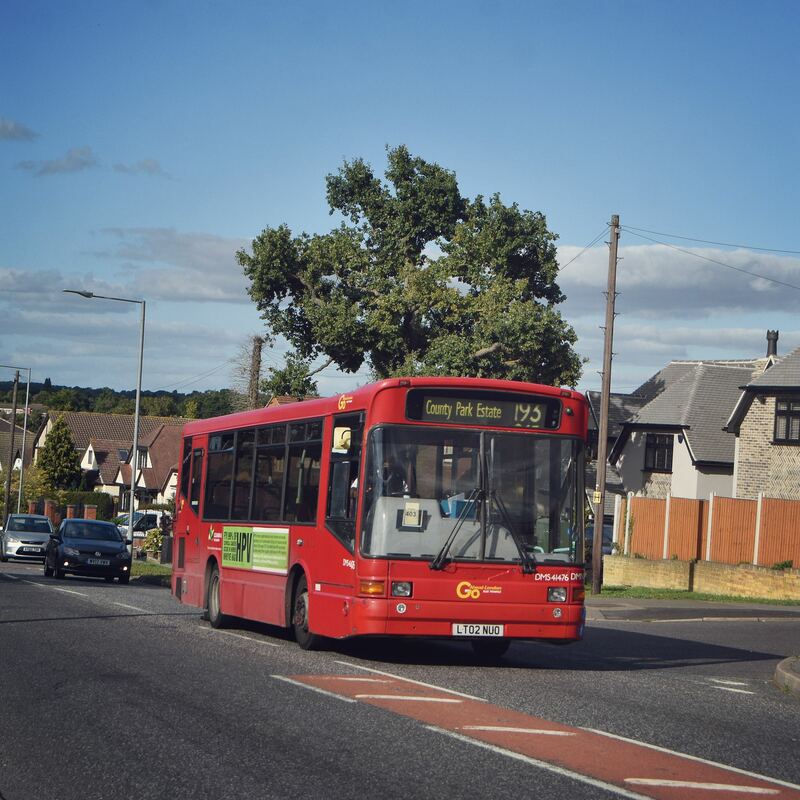 My biggest issue though is the amount of buses along Lonsdale Avenue which was full of parked cars when I did my end to end journey of the 104 - that could delay the service if buses meet like on the 147. By the way, I assume the 304 will be double decked as well as it's not made clear in the consultation? Only observation here is why couldn't it continue to serve Stansfield Road and just double run at Prince Regent Station back to Prince Regent Lane instead of running Freemasons Road & New Barn Street? Agree with the 497 routing and hopefully, locals will use it as well. Also agree with the 174 getting a frequency increase and finally the double decking of the very busy 256 - if only they could sort out it's reliability issues as well. The technical note says the scheme for the 304/330/474/241 may founder if stand space is not found by Newham Council near to Custom House station. The proposals for routes 104, 304, 241 and the option to extend the 330 to Custom House are all dependent upon the provision of a suitable bus terminus at Custom House station. TfL have been in discussion with LB Newham regarding such a facility and they are investigating possibilities as part of the wider masterplanning of the area but there is a risk that either it will not be provided or will not be available when the station opens in December 2018. The whole proposals for the area seem to generally be centered around Custom House area. Holborn is just fine meanwhile. No N25 I presume? Or pedestrianisation effectively kills that off? Holborn is just fine meanwhile. No N25 I presume? Or pedestrianisation effectively kills that off? I think the 25 remains vulnerable. TfL have been relatively uncontroversial here but the Technical Note suggests they will be keeping an eye on what happens and it will be reviewed / amended again. The 86 has been left alone put seemingly only because of local authority pleading. I think this route will be under severe scrutiny by TfL and if people swap to rail services because of the enhanced frequency then the 86 will be reduced. TfL are aiming at a 5 min peak / 6 min off peak frequency on the Shenfield branch which is pretty attractive given the low fares off peak match / are close to the bus fare. The other thing that is lamentable in these changes is the lack of new routes into poorly served residential areas - nothing new north of Chadwell Heath or Seven Kings where there are "network holes".